What If We Saw Our Students As Artists? Home / What If We Saw Our Students As Artists? I love taking pictures of these students at band practice. I love to watch their faces and their interaction. I love not being the controller of art but the observer. I could call this “band practice” but I think it might cheapen the moment. 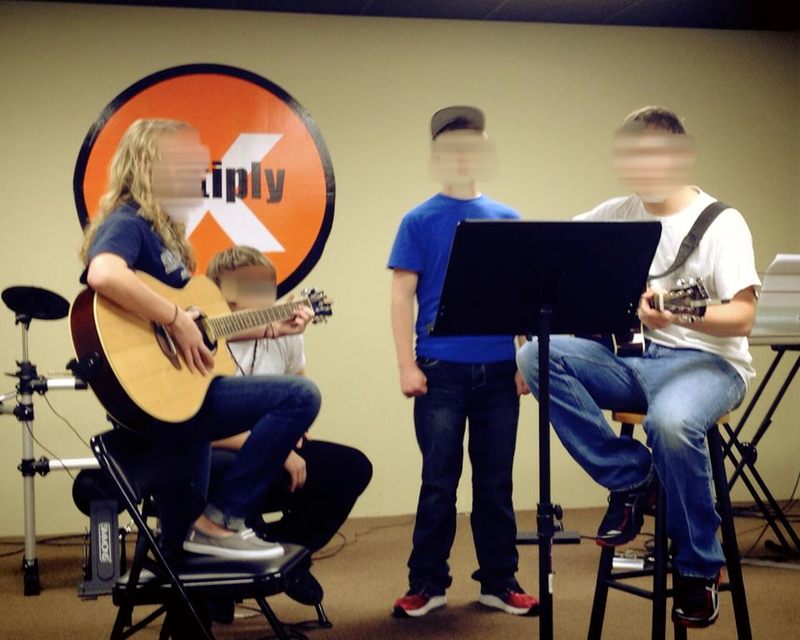 You see, I think traditional band practice/worship practice is a group of kids coming together to practice a set of songs for a performance. These young artists are collaborating. They are not just creating a song list but how a song should be played. The invent, they change, they modify, and they create. They are artists. As youth workers, we have a choice, we can view our students as artists or we can view our students as our art projects. I have not always made the right choice, but I am glad for second chances. In the first case, I am an observer creating an atmosphere for art to be made. This art comes in many forms, a cause, an outreach, or a bible study created by students, under the influence of the Holy Spirit, through prayer, and with some adult help.The latter view is to create art for our kids and watch them ooh and ahh over it and then act our the pay we wrote for them. I believe this latter option not only steals the opportunity from these students to display their God-given art, but steals glory from God who made these artists, these creators. I have invoked the latter choice on the grounds of getting the art right and it was exhausting and worse still, no real art was made, only my shabby drawings of what I thought God should look like through our students. What would change in you if you started looking at your students like artists? What if we trusted God to do greater things through our kids even if we did not understand the art they were creating?